The government-owned research technology company SIRIM has built a first-of-its-kind pilot plant in Malaysia to convert palm oil into versatile biodegradable plastic materials. The facility is situated in Shah Alam, Selangor state. It is a fully automated plant and produces various types of polyhydroxyalkanoates (PHAs). The pilot plant, which is installed at the Jalan Beremban facility of SIRIM in Shah Alam, became operational in July 2011. It uses palm oil mill effluent (POME) and crude palm kernel oil as feedstock to produce 2,000L of different PHA materials. The palm oil-based plastics are expected to become an alternative to the non-biodegradable petroleum-based plastics in the country. The facility was designed and built jointly by SIRIM Berhad, Massachusetts Institute of Technology (MIT), Universiti Putra Malaysia (UPM) and Universiti Sains Malaysia (USM). Palm is the most prominent agricultural industry in Malaysia and is grown in about 4.7 million hectares of land across the country. About 600,000 people depend on the crop, producing about 70Mtpa. There are about 430 palm mills and the crop accounts for about $15bn in exports (2010). It is available throughout the year as a result of both high rainfall and sunlight. The country is also home to one of the largest palm oil industry-based agricultural waste producers. The lignocellulosic palm wastes are converted to biomethane and biomass. However, about 24Mt of POME wastes sent to ponds pollute the underground water resources. In 2006, SIRIM researchers demonstrated that the POME could be fermented, extracted and converted into organic acids to produce polyhydroxyalkanoates (PHA) polyesters. The research was carried out in two phases led by the SIRIM researchers. MIT provided the cloning for PHA biosynthesis genes. The Malaysia Palm Oil Board, the University Malaya, UPM, USM and SIRIM received MYR2.85m ($0.9m) funding for the first phase of research under the Intensification of Research in Priority Areas (IRPA) programme. The first phase involved R&D of the PHA biosynthesis process and recovery processes, materials and product testing, and product applications. The study was conducted with MYR21m ($6.7m) financial support from the Ministry of Science, Technology and Innovation under the Technofound Programme. This phase involved the optimisation and integration of the manufacturing process and establishment of the pilot plant. The pilot plant represents one tenth of the industrial scale facility. It will enable the researchers to further improve and optimise the processes through data collection, and mitigate risks. The SIRIM bioplastics project has integrated production processes and bioreactor facilities designed and fabricated indigenously. 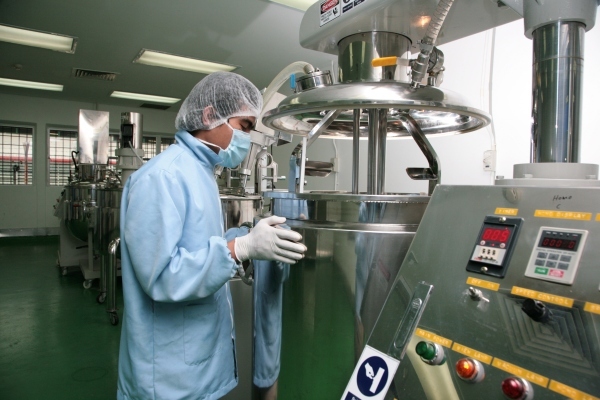 The pilot scale plant is based on SIRIM bioreactor technology. The sealed bioreactor vessels have foam sensors, a sparging system and mirror-polished 0.5µm finish interiors for precise environmental control. The sparging system enhances oxygenation and the foam sensor detects unwanted bubbles to accelerate the entire fermentation process. The bioreactors are designed to allow scaling up to the capacities of between 10L and 2,000L, depending on specific requirements. The process also has the flexibility of total or semi-automated operations. Technical specifications of the bioreactors include the use of SS316 food grade stainless steel materials, coil or jacketed type cooling and heating systems, Rusthon turbine mixers, 415V 3-phase AC power, centralised and individual process control systems, Department of Occupational Safety and Health-approved mechanical seal systems, and a pressure vessel. The bioreactor system uses microorganisms for the production of bioplastics and other renewable sources. It also facilitates multipurpose anaerobic and aerobic bioreactions to produce organic acids such as caramelor and vinegar. The technology provides precise and stringent environmental control of acidity, oxygen, temperature and pressure inside the bioreactor to facilitate the bacterial fermentation process. The process optimises both raw materials and productivity for efficient production of linear polyesters. It also avoids contamination and produces better outputs, thereby reducing the overall production costs. The use of non-toxic bioplastics is increasing in the medical, packaging, food, toys, textile and horticulture industries. There are also plans to use them in the electronic and automotive industries. The value of the global bioplastics market is expected to reach about MYR30.3bn ($10bn) by 2020 as a result of consumer preferences and environmental concerns. It currently accounts for about 15% of the total plastic demand and this is expected to rise to 30% by 2020. Biodegradable plastic produced from sugar cane is expected to cost about MYR28 ($9.47) per kg, while that produced from palm kernel oil is about MYR7 ($2.36) per kg. The cheaper costs are credited to palm oil wastes.